Enjoy hosting a stress-free party by whipping up big-batch cocktails in advance. These easy drink recipes are made by the pitcher and designed to serve a small gathering, keeping you out of the bar while having a good time with friends. From fruity sangrias to mojitos, margaritas, and much more, they offer an array of flavors to please any crowd. Many popular cocktails can be scaled up with ease. The Madras is one example of how a single drink can turn a wonderful fruity vodka punch. To make a large batch, simply pour three ounces of cranberry juice for every ounce of vodka and orange juice. Add a little more vodka to taste and it's ready. A little rum, pomegranate, and fresh mint create an amazing pomegranate mojito. 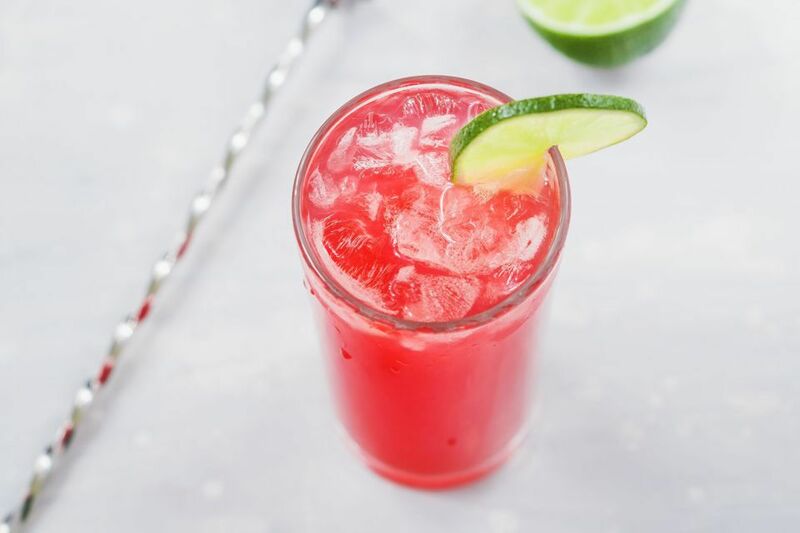 This refreshing drink serves eight people and is perfect any time of year, especially when pomegranates come into season during the fall and winter months. It's hard to resist sangria and there are truly endless variations to explore. For autumn parties, serve a delicious apple cider version. It requires just a few ingredients, including white wine and hard cider spiced up with warm cinnamon. The mojito makes a great pitcher drink because it's so simple. For a fun twist, mix one up using white wine. It swaps rum for vino and adds sparkling lemonade to the mix. You'll love how easy it is and your guests will fall for the familiar-yet-different flavor. It's a berrylicious margarita and sangria in one pitcher and everyone will want a taste of this raspberry tequila sangria. The recipe muddles fresh raspberries with white wine, tequila, and triple sec, then gets a brilliant sparkle from ginger ale. Take your pitcher of mimosas to new heights with pineapple. The recipe combines lemon and orange juices, is sweetened with honey syrup, and gets a nice fizziness from Prosecco. Yet, it's the pineapple vodka that really steals the show! Kiwis and tangerines are the stars of this New Zealander sangria. It's ideal for a casual brunch, pairing perfectly with any sweet or savory bites you might serve. You can think of it as dressing up a good sauvignon blanc with tropical fruits. For any group that enjoys a good whiskey cocktail, this one's a guaranteed hit. The Belmont jewel is a delicious combination of bourbon, lemonade, and pomegranate juice. The recipe makes a single drink, so simply increase the ingredients in proportion to fill a pitcher. Cherry-flavored bourbon and sweet strawberry liqueur form the foundation of the Red Stag Lemonade. It's as delicious as it sounds, especially once topped with soda. The recipe is easy to size up to any group, whether you have four guests or 24. Your big-batch iced tea can be far more interesting with this moscato and ginger-infused recipe. It's fuss-free, serves 12, and has an intriguing flavor. All you need is a bottle of the sweet wine, iced tea, a ginger simple syrup, and some sugar. Pimm's is as British as Earl Grey tea and it's fantastic with a fizzy lemonade. Toss in fresh cucumber, mint, oranges, and strawberries and you have the unforgettable Pimm's and lemonade, a lovely addition to any summer affair. With a pitcher of iced tea and two easy-to-find spirits, you can treat your guests to a summer peach tea. To fill a large vessel, simply pour one part each Canadian whisky and peach schnapps to four parts iced tea. Transform any sparkling rosé into a tantalizing cocktail with this recipe. It pairs two homemade ingredients—strawberry vodka and basil syrup—with the pink wine, pear nectar, and lemon juice. The recipe shows you how to adapt it for any number of guests, too. Get a taste of the beautiful marriage of lavender and blueberries in this vodka spritzer. This stunning purple cocktail serves four and is a wonderful way to show off a new bottle of vodka. Bloody Marys are great, but much easier to make by the pitcher. This recipe will help you create a fantastic tasting base mix. Each guest can then make their own drink, whether they like it booze-free or prefer vodka, tequila, or gin. The salty dog is ideal when you have a bunch of gin lovers in the room. The recipe is a 2:1 mix of grapefruit juice and gin, so filling a pitcher two-thirds with grapefruit and ice means you'll just top it off with gin. Don't forget to rim the glasses or it won't be "salty." How about a sweet and spicy margarita for the party? The Late Night Lychee Margarita sounds funky, but the flavor is amazing. It mixes tequila with lychee syrup, cilantro, and jalapeños, and serves eight guests who are up for a cocktail adventure. Peach vodka gives the average punch a summery twist. Written for a single serving, the recipe is easy to make for a group because the elderflower liqueur and lime and orange juices are poured in equal amounts. No hard math here—just a purely delightful drink that's worth sharing. One of the brightest brandy recipes you'll find, the Apricot Sunray should not be overlooked. It's a Champagne punch that piles on the apricot-flavored ingredients and tosses in some blood orange juice that plays off the Cognac nicely. The Raspberry Snakebite is a simple mixed drink and you can make as much as needed. Simply pour a vanilla porter, then half that amount of hard apple cider, followed by half that amount of raspberry juice. It's fun and lively, and definitely a unique way to enjoy beer.